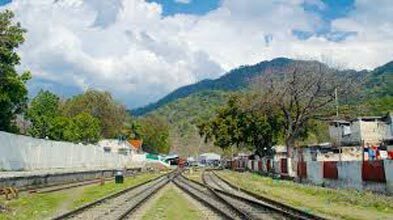 Morning on arrival at Haldwani/Kathgodam station meet for assistance and drive to Nainital by car (40km drive). On arrival at Nainital transfer to hotel for check in. Morning free to Leisure. After break fast go for full day Nainital local sightseeing tour by car. Evening back to hotel. Overnight stay at Nainital hotel. Today after breakfast check out from Hotel & proceed to Ranikhet via Bhowali, famous for its scenic beauty and Bhowali is a also famous for fruit orchids. Continue drive to Ranikhet with local sightseeing on the way. On arrival at Ranikhet transfer to hotel. Afternoon free to leisure. Evening go for local sightseeing to Golf–Course and other local areas in Ranikhet. Enjoy evening walk on Ranikhet Mall Road & Feel the real touch with scenic beauty. Over night stay in Ranikhet. Morning free to leisure, walk around Ranikhet to enjoy the cool weather of Ranikhet. 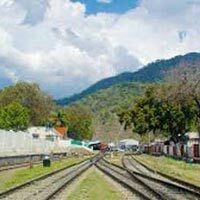 After breakfast check out from hotel & proceed for full day local Ranikhet tour/sightseeing by car, evening transfer to Kathgodam/Haldwani station for your further destination.